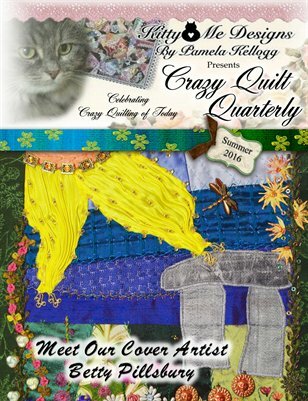 Filled Crazy Quilt eye candy and inspiration, this issue features Betty Pillsbury as our cover artist. Also in this issue a gorgeous family history quilt with beautiful photos of ladies from the 1800's and the stories that go with them. Patterns, articles and ideas for your Summer crazy quilt stitching!